American scientists had found bones believed to be the largest in the world which belongs to the largest dinosaurs that ever lived in this world. This was revealed in a scientific report published jointly by the Museum of the Rockies in Montana and Museum of Pennsylvania. In the publication it is mentioned, it is the property of dinosaur bones with Latin names Alamosaurus sanjuanensis. These characteristics are a long-necked animal and only eat plants. It is estimated, Alamosaurus have lived in the United States and Mexico 69 million years ago. Alamosaurus also referred to as the titanosaur species which are very large. Although there may be other genera whose fossils have yet to be discovered, Alamosaurus is one of the few titanosaurs known to have lived in late Cretaceous North America, and possibly in vast numbers: According to one analysis, there may have been as many as 350,000 of these 60-foot-long herbivores living in Texas at any given time. 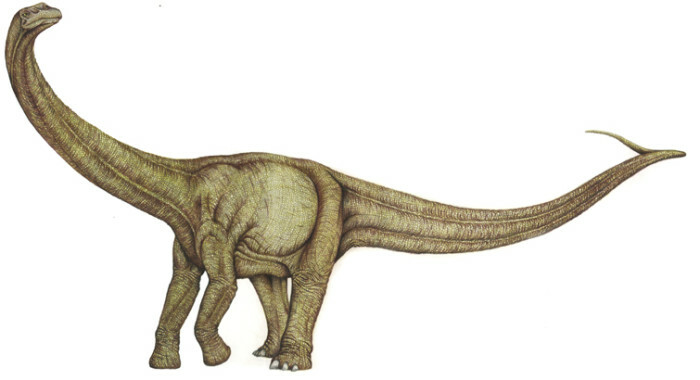 Its closest relative appears to have been another titanosaur, Saltasaurus. 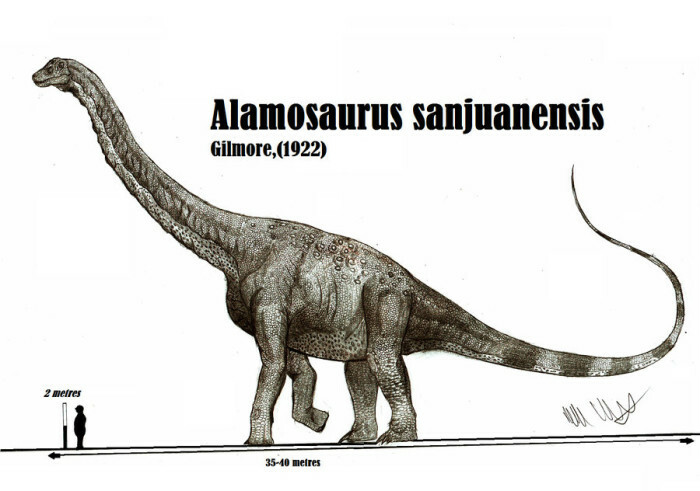 A recent analysis has shown that Alamosaurus may have been a bigger dinosaur than originally estimated, possibly in the weight class of its more famous South American cousin Argentinosaurus. It turns out that some of the “type fossils” used to reconstruct Alamosaurus may have come from adolescents rather than full-grown adults, meaning that this titanosaur may well have attained lengths of over 60 feet from head to tail and weights in excess of 70 or 80 tons.By the way, it’s an odd fact that Alamosaurus wasn’t named after the Alamo in Texas, but the Ojo Alamo sandstone formation in New Mexico. This herbivore already had its name when numerous (but incomplete) fossils were discovered in the Lone Star State, so you might say that everything worked out in the end!